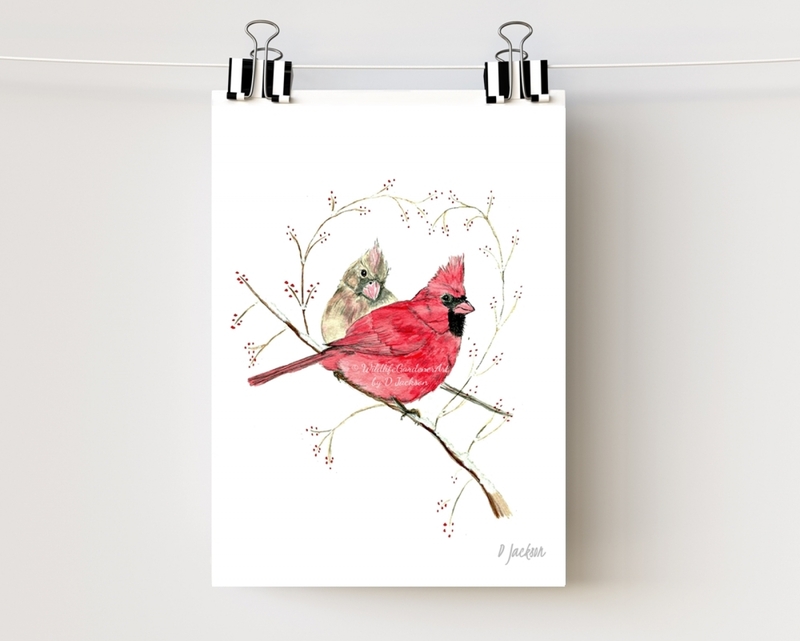 Cardinals are always such a beautiful garden sight but never more than in the snowy winter. 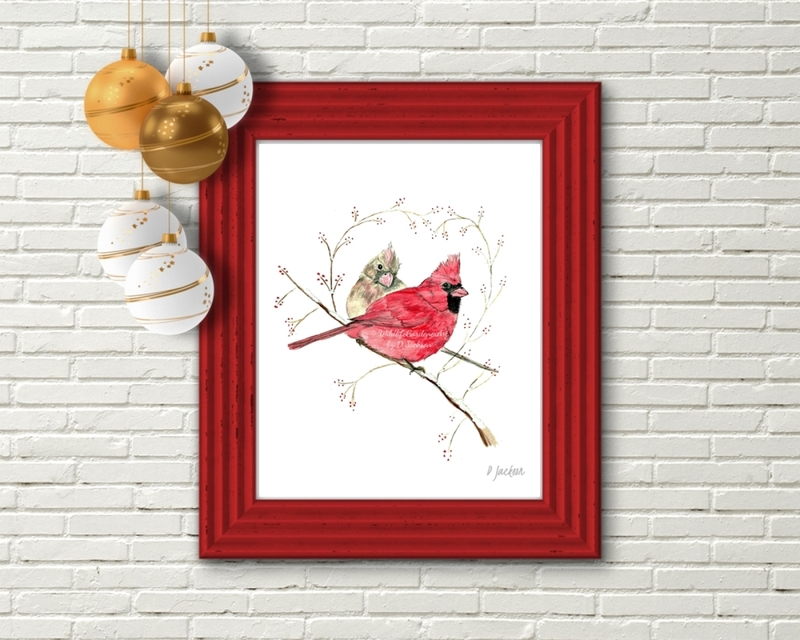 This contemporary art print features a pair (male and female) on a snowy branch, surrounded by a heart shape of winter berries. 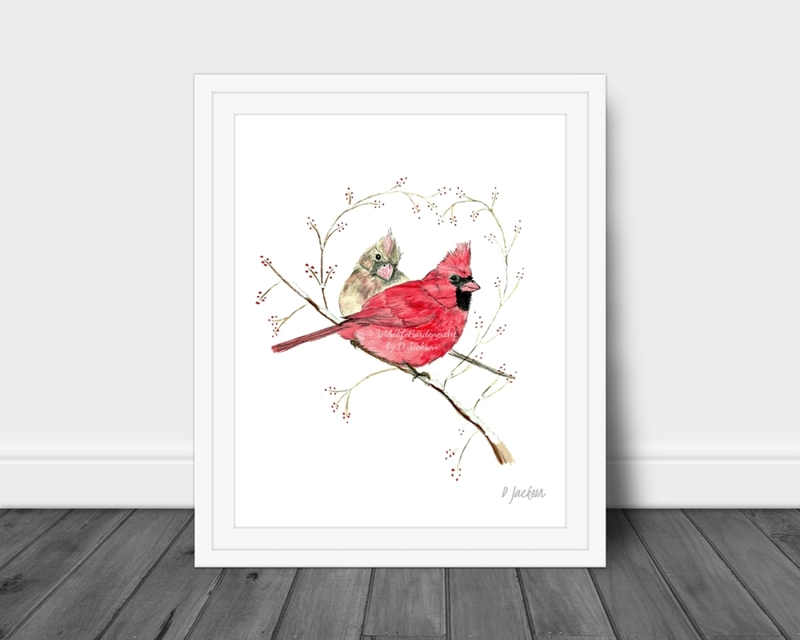 Modern bird art for many decors, farmhouse to dorm or nursery art, or a couples gift. 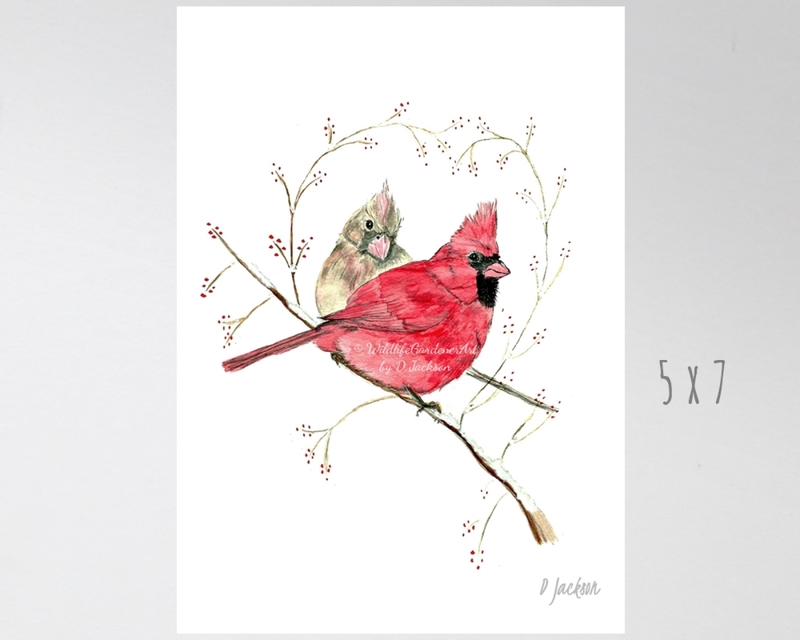 Archival quality prints from my original watercolor painting.